Color tones for all Dozen Assorted Colors of Spray Roses may vary due to the computer monitor and/or Mother Nature. We have Spray Roses Wedding Bouquets that'll bring a touch of spring warmth with their variety of hues and pretty little petals. 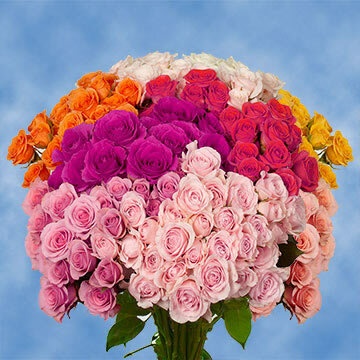 • Diameter when bloomed: 1.5" - 2.5"
For your special day, Spray Roses Wedding Bouquets would bring your event the extra touch it needs to make your memories unforgettable. 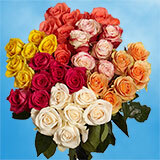 We have the freshest Spray Roses Wedding Bouquets available to delivered wherever you'd like. 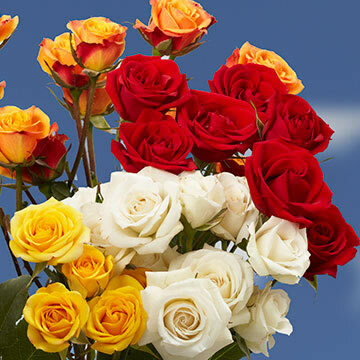 Take your celebration to the next level with Spray Roses Wedding Bouquets that will wow your guests and bring festive cheer with their colorful cute petals. We nurture our flowers until their in the peak of perfection. 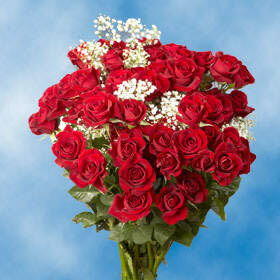 We only cut them when preparing them to be delivered to ensure that every petal is intact when they arrive. Yellow Roses are classic flowers that are great for Spring or Summertime weddings. You can use them to bring a variety of color to an otherwise mono-colored affair. With us, you will be delighted with your purchase every time, we're sure of it. 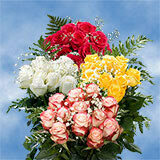 We are dedicated to producing the freshest flowers possible to every one of our customers. 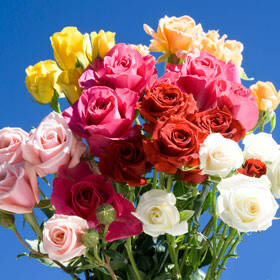 We grow our Spray Roses Wedding Bouquets in our eco-friendly greenhouses where we are attentive and nurturing. 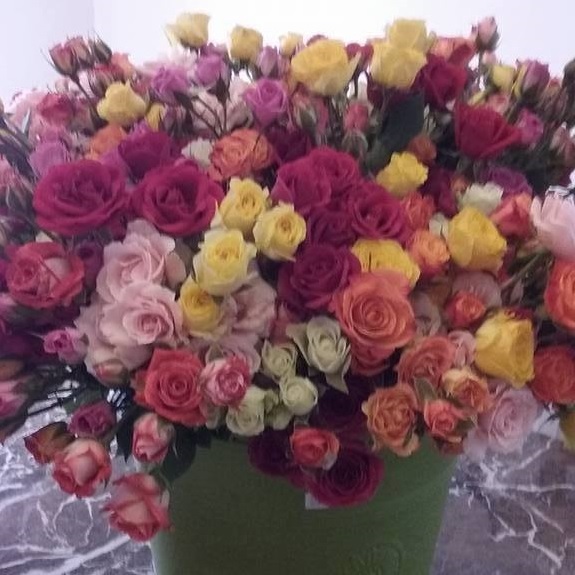 For the freshest flowers, go with us! Spray Roses for my mother came on time, and were absolutely fresh and gorgeous. She loved them. I will definitely be a repeat customer. Gave these to my wife for our 57th anniversary. She was very pleased with them as they arrived as buds and within two days they were fully open. In spite of the July heat the blooms lasted for more than a week. The most amazing thing here is that they arrived in two days from Bogata Colombia. WOW! !